We have an exciting interview for you today. This episode introduces two amazing kidlit authors who are passionate about children’s literature and teaching important life lessons through children’s books. Our first guest today is J. I. Spencer, author, entrepreneur, and life-coach. he is here to talk about his newest series “CHAMP: Building Character”. He released the first title in Jan 2019. And book 2 released Feb 17th. A series focused on introducing strong character traits for boys. Our second guest is Kathleen Doherty, a children’s books author, reading specialist and an educational specialist. 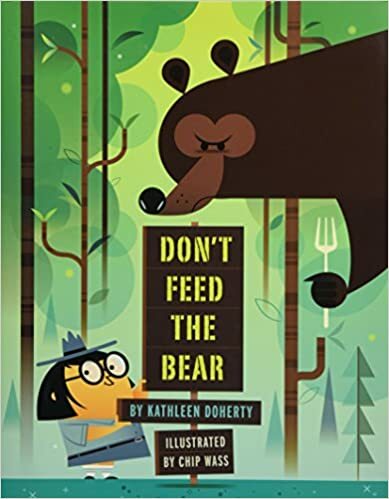 We’re excited Kathleen introduces her first picture book—DON’T FEED THE BEAR—debuted from Sterling Children’s Books in 2018. Spencer pours himself into raising his three young sons and is often asked the same question: How has he raised his boys to display such strong character and reach such high levels of achievement? Frequent inquiries served as the inspiration to create children’s books that emphasize values critical to a young person’s success. J.I. Spencer’s first title – Petah and the Big Blue Sea, had many values woven in, such as the need to decide on a path, the importance of focus and always doing your best. Petah also shows resiliency when he first does not reach his goal but then decides to try again with a better approach, and eventually succeeds. The latest series from J.I. Spencer is CHAMP: Building Character. The series emphasizes different building blocks of strong character. In each book, Champ rides out on his bicycle and interacts with 3 different professionals in the community. Each person introduces a strong character trait related to their profession to help build Champ’s awareness of self and his unique sense of character. The book does not feature a father on purpose, in order to provide a resource for single moms struggling to find adequate role models. In this rhyming adventure, Champ goes on a quest to learn important lessons from everyday heroes in his community. Champ meets three hardworking heroes that teach him strong character traits he can begin to use right away. First, the crossing guard teaches Champ to have a firm handshake. Next, the shoeshine man teaches the importance of dressing for success. Third, the bus driver teaches Champ the value of being on time. 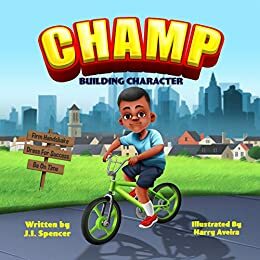 Each book in the CHAMP: Building Character Series has 3 stories in 1!. A fun, easy reader, for boys of all ages! Mothers will appreciate the way the book introduces strong character qualities to their sons. Fathers will appreciate reading this book with their sons and discussing which character traits are most important to them. A story that children enjoy and parents approve! Written in a rhyming, rhythm, that flows to the groove! BUY NOW and start these important Character Building conversations! Kathleen enjoys bringing kids and quality literature together. She’s a Reading Specialist and an Educational Specialist in Curriculum and Instruction. She’s written standardized test items for Pearson Inc. in alignment with the Common Core Standards. Her love of learning has led her to graduate from four different universities. 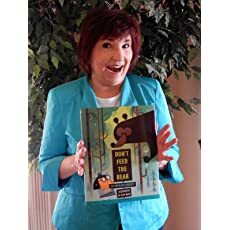 Her first picture book, DON’T FEED THE BEAR, illustrated by Chip Wass, debuted from Sterling Children’s Books. Her second picture book, THE THINGITY-JIG, with Peachtree Publishers has yet to receive a publication date. Kathleen donates 100% of her author earnings to St. Jude Children’s Research Hospital. She lives in Indiana with her wonderful husband. You can follow Kathleen on Twitter [@Doherty60]. It’s Bear vs. Ranger in the funniest food fight ever. Mac and cheese, Carrot cake, Meatball stew: Bear loves when campers leave him grub. The park ranger does not. Smackity smack, Ranger pounds a sign into the ground: DON’T FEED THE BEAR! Upset—no more chewy cookies? No more juicy burgers?—Bear quickly crosses out the “don’t.” Now, it’s war in the park! But when both Bear and Ranger end up losing out, will the two antagonists finally call a truce? With its delightfully cartoonlike pictures and clever wordplay, this picture book will keep kids laughing for hours. What inspired Spencer to write this book? Spencer talks about his other book “Petah and the Big Blue Sea”, a book about a fish who wants to make it out to the Big Blue Sea but must earn his way. What kind of conversations parents and children can have after reading both the books? A huge thank you to J. I. Spencer & Kathleen Doherty for joining us and for sharing their fun little books with us! If you haven’t already done so, listen to this episode & feel free to share it by using the social media buttons at the bottom of this page. We would LOVE if you could leave us a review on iTunes.